Discover the most exquisite venues this awe-inspiring city has to offer, and start planning your big day amongst the canals! One of the most emblematic cities in Italy rightfully deserves a place on our list of the most beautiful Italian locations for weddings. Venice is a city that makes you dream, and we know you’ll instantly fall in love with the idea of getting married in such an iconic city. Make this dream a reality, and take a look at our pick of the top 10 wedding locations this world-renowned site has to offer! If you’re dreaming of a glamorous affair fit for stars like George Clooney, then look no further than the Westin Europa & Regina. 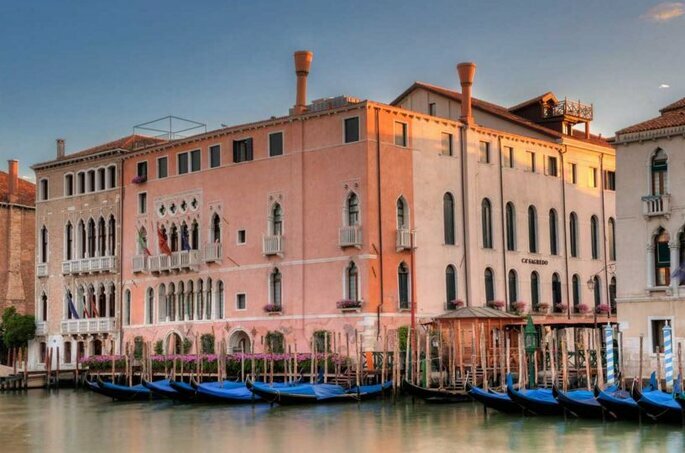 If you’re lusting after a hotel which boasts private access from the Grand Canal, and is capable of hosting upwards of 400 guests, then this is the hotel for you. You really can feel like a celebrity for your big day. The Westin Europa & Regina offers a wealth of exclusive services. Make your dream a reality – your wildest and most extravagant visions will be catered for by this stunning hotel. 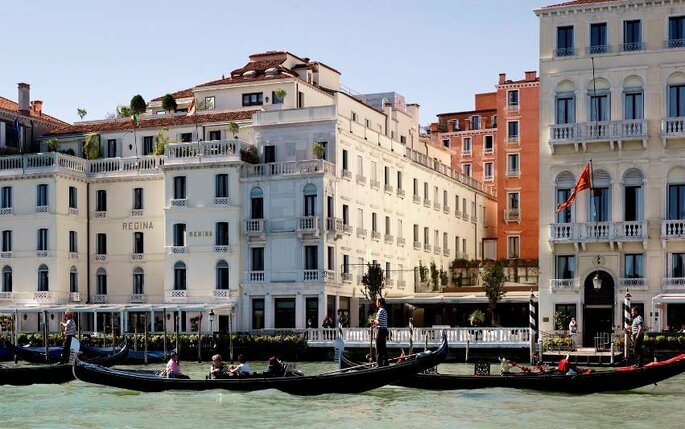 If, however, your main priority is to indulge your guests in the historical charm of the Floating City, you’ll definitely want to consider the Hilton Molino Stucky Venice. A quaint late nineteenth century mill that has recently been restored, the Hilton welcomes guests on the quiet and charming island of Giudecca. 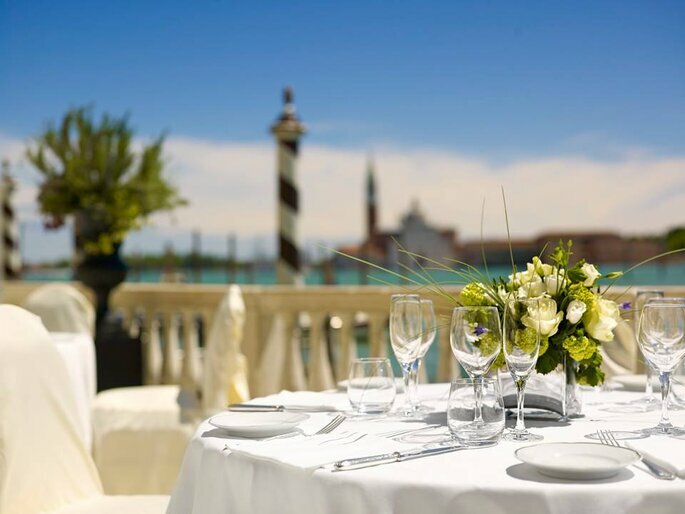 From the outdoor terrace you’ll be able to marvel at a glorious Venetian sunset whilst savouring an aperitivo with your future spouse, overlooking the tranquil canals and Baroque palaces. Celebrate the magical moment of cutting your wedding cake in the exclusive Skyline Rooftop Bar, where you and your guests can celebrate by dancing late into the night. Still not sold? 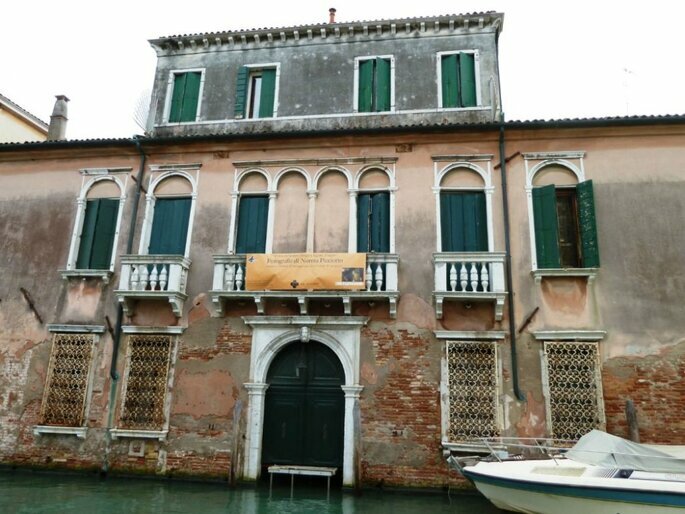 You can also organise tours of the Grand Canal for your guests – in a private taxi, of course. Palazzo Ca ‘Zanardi has been in existence since the sixteenth century and is one of the finest historical hotels in the area, which has hosted the most famous Venetian families in its illustrious past. Away from the crowds of tourists, this unique location will accommodate you and your guests in the quiet of its magical garden. That’s not all – you can continue the festivities in enchantingly elegant salons. 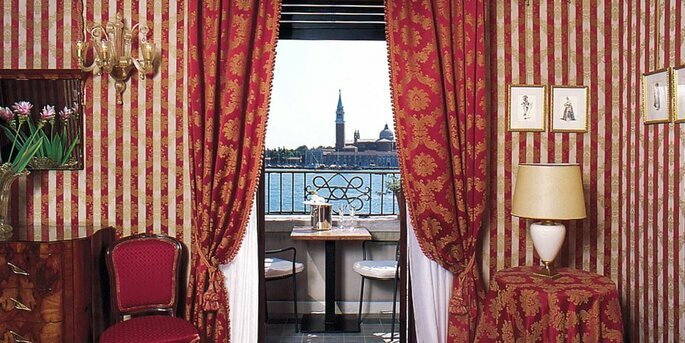 The rooms are all expertly furnished in classic Venetian style, and promise to make your celebration one to remember. A rustic and chic choice, ideal for those who not only want a beautiful hotel, but also to be surrounded by nature. 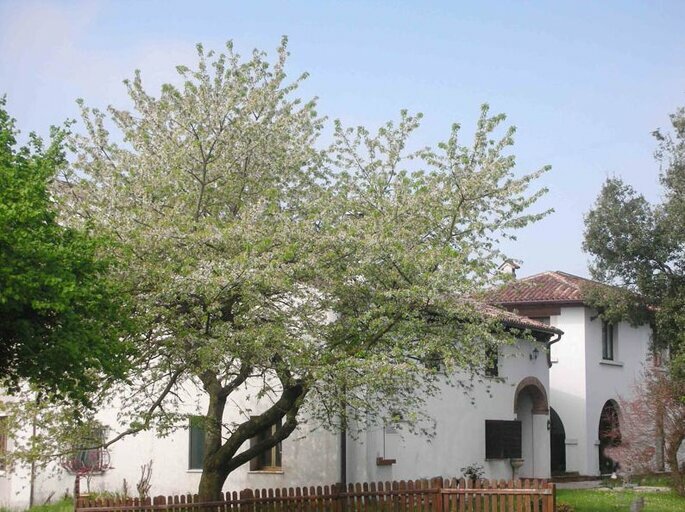 The place for a couple wanting to embrace the outdoors is the Veneto Relais Leon d’Oro. 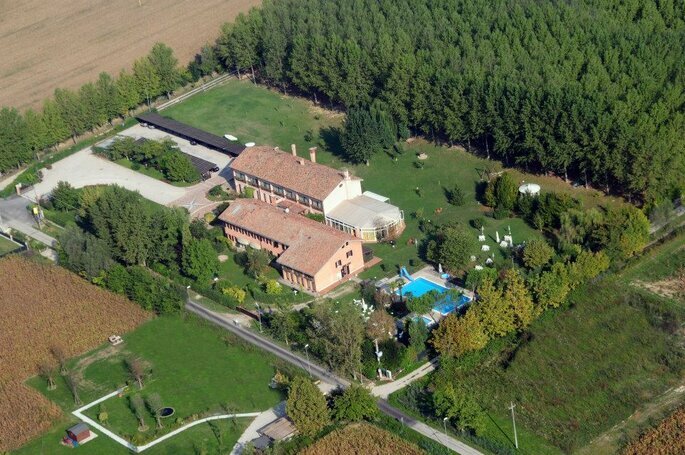 The former seat of an ancient Bishop in 1860, it has now become an oasis completely surrounded by the Mirano countryside with an unbelievable 40,000 square metre garden, located between Padua and Venice. You’ll be able to enjoy the stunning features this hotel has to offer, including a large park, a tranquil pool, an original well, a beautiful pond and a lovers’ pavilion. 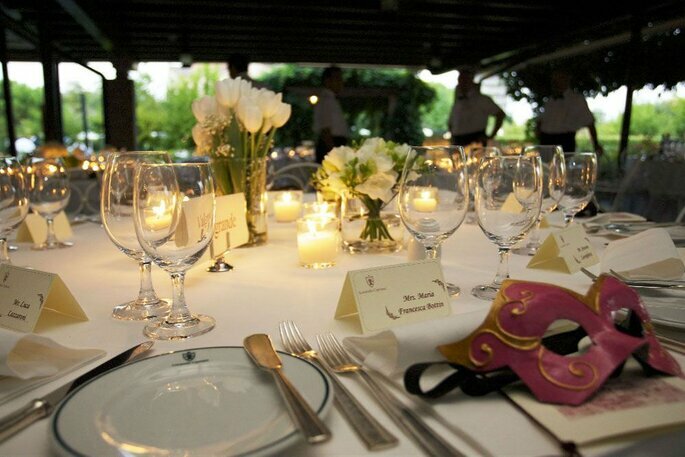 A veritable oasis for enjoying the most special day of your life. A place that will make you feel truly unique – that is the promise that the staff of Mulinoantico make. 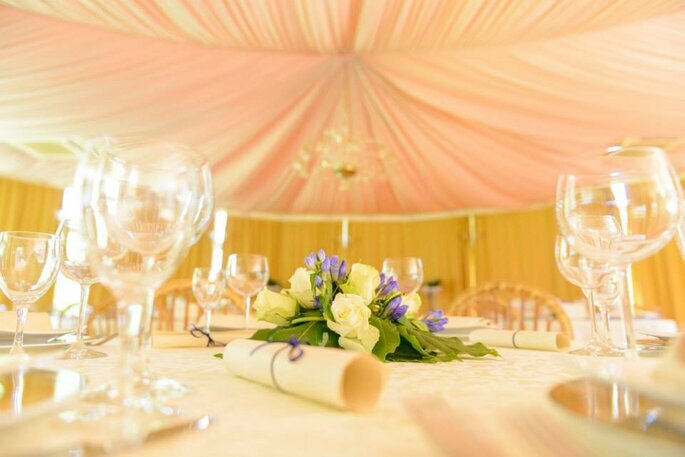 The vast spaces, the beautiful nature that surrounds this building, the rose gardens and majestic trees – all of this will contribute to making your day very special indeed. 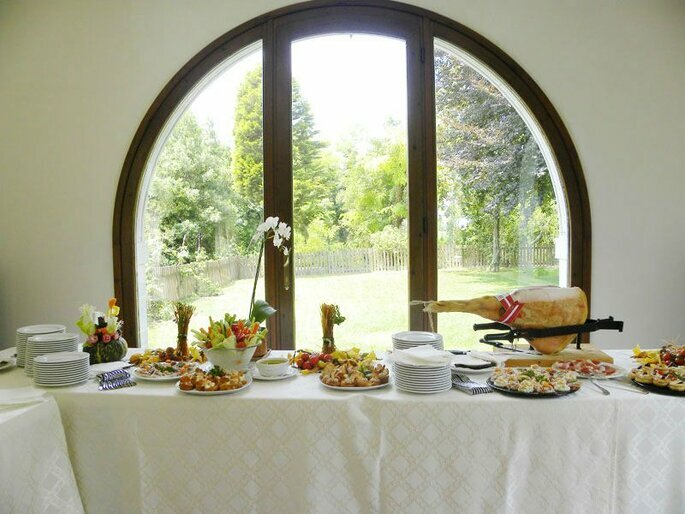 The bride and groom can choose between two halls in which to host their reception: The Macina and the Granary. The former, overlooking the left wing, is ideal for weddings with at least 80 people, while the latter on the first floor is larger, which is perfect for a wedding packed with guests. Another space – the barn – overlooks the majestic garden, and is the perfect place to welcome guests with a cocktail and to begin festivities. The dream starts here! With an unmistakable pink façade that overlooks the Grand Canal, this a hotel that oozes harmony and beauty: somewhere truly special to start a new chapter of your lives. 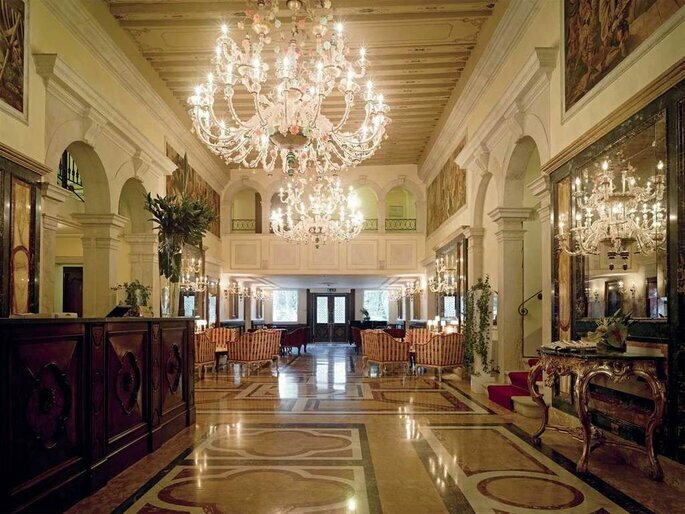 Ca’ Sagredo Hotel is the epitome of luxury and you can be sure that if you choose it, you won’t be disappointed. This is a location for dreamers and perfection-seekers. 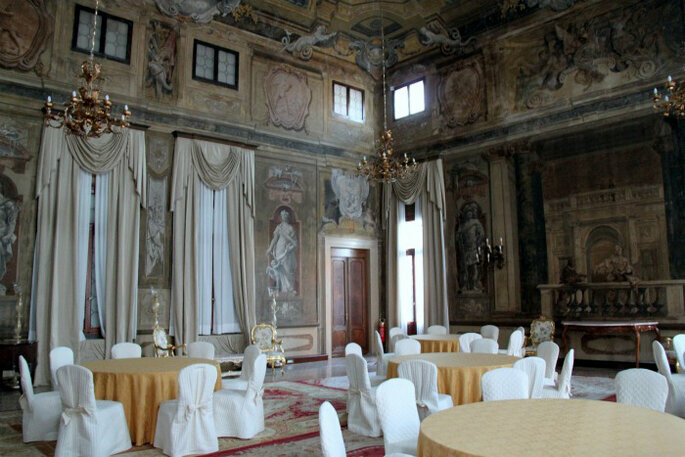 When listing the most regal and prestigious venues on offer in Venice, it would be impossible not to mention the noble Palazzo dei Dogi. Home to the embassies of France and Savoy, this ancient and illustrious building from the eighteenth century typifies Italian luxury. 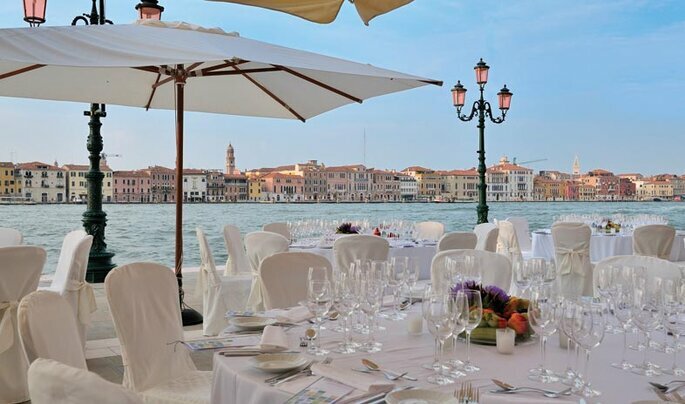 The building overlooks the lagoon and offers guests the chance to soak up the peace and the charm of Venice. There is the opportunity to hold an al fresco ceremony in the sumptuous surrounding gardens. 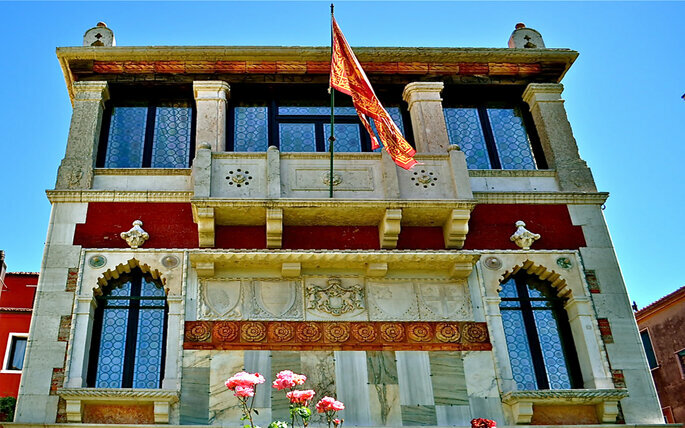 Hotel Locanda Vivaldi encompasses all Venice has to offer at a single glance! Your guests will enjoy wonderful views of San Marco, Palazzo dei Dogi, the Punta della Dogana, the Church “della Salute”, and the Island of San Giorgio. It is not only the amazing location that lands this hotel a place in our top 10. The attentive staff will also go above and beyond to customise rooms and service in line with the couple’s tastes. This extends to flowers, music, organising water taxis for the guests, and there’s even a special gondola ride for the newlyweds to enjoy, with a special surprise waiting. The Ca’ Nigra Lagoon Resort is yet another wonderful venue found in this beautiful city: its halls once hosted the count Costantino Nigra, a famed poet and writer. Today, the flower gardens are the perfect place for a couple who want to feel truly immersed in a world of history and prestige. What could be more fitting than exchanging eternal promises within these ancient walls? Last, but by no means least, we have the Locanda Cipriani. Somewhat of a buzzword within the wedding world, this hotel has become known as one of the trendiest spots to tie the knot. 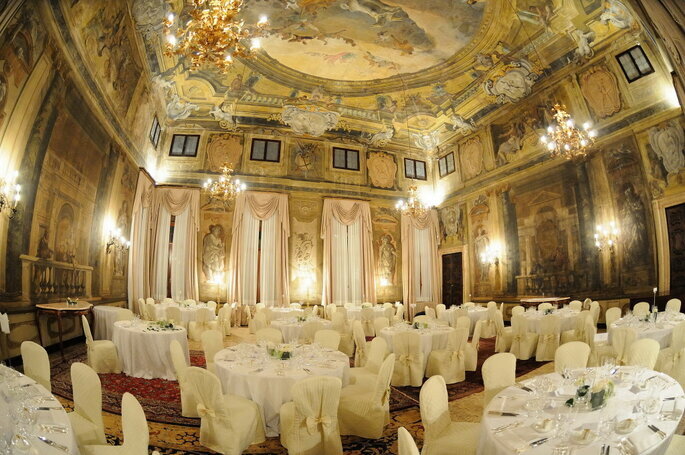 One of the main attractions of this special hotel is the option to host your ceremony in the prestigious church of Santa Fosc. The staff are also renowned for their attention to detail. 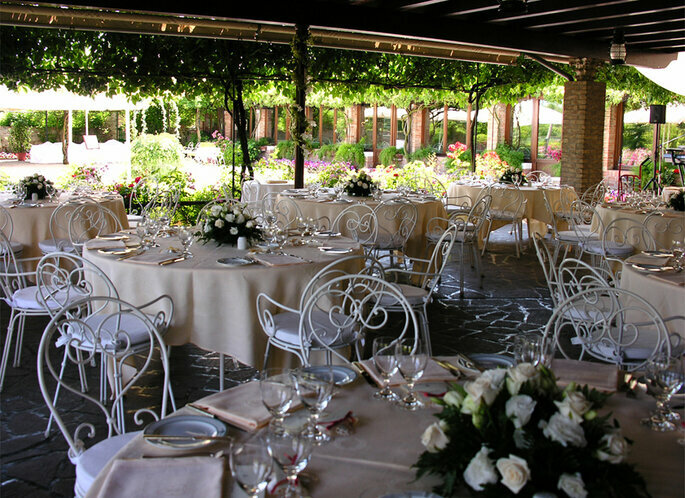 Seasoned professionals with many years of experience behind them, Locanda Cipriani will ensure that your magical day runs smoothly. Locanda Cipriani takes care of everything from printing custom-made menus to seating arrangements, flowers, entertainment during and after the event, transfers to and from Venice, the photo shoot, baby-sitting services … the list is endless, but is indicative of how much the staff really care. The spacious rooms can accommodate up to 350 guests, so there’s room for everyone you want to invite. * This is not a ranked list.